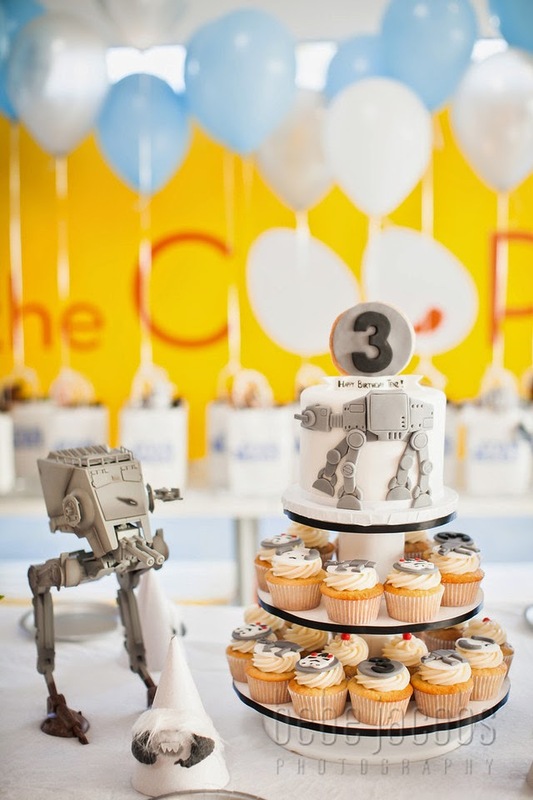 STAR WARS - the HOTH SCENE..
We have been so blessed over the years at the COOP to work with some incredible parents and the one featured in this blog is truly one of the most inspired! 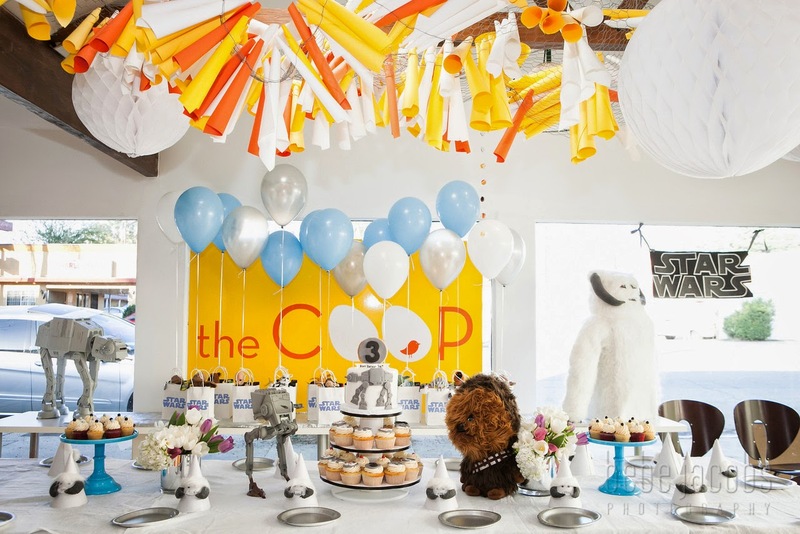 This was Jennifer's second COOP party with us she also had the Yo Gabba Gabba the year before both for her gorgeous son Tenz. 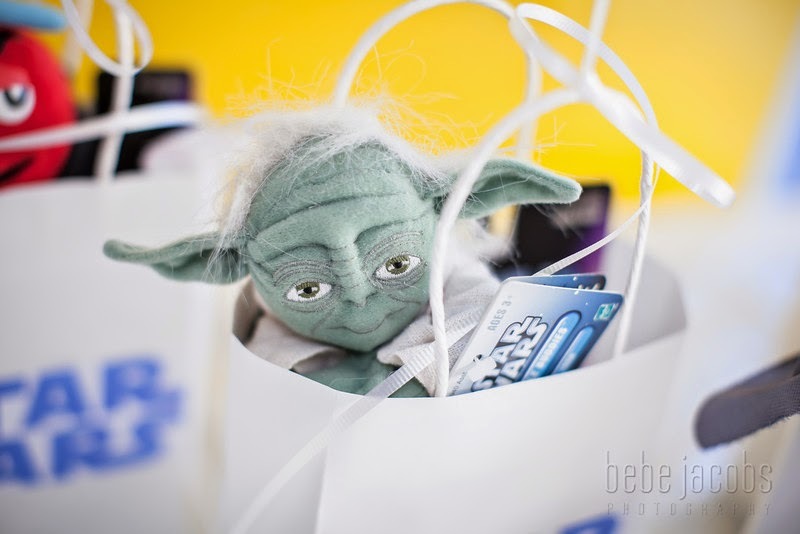 Every year Tenz and Jennifer come up with a cool theme and pull out all the stops in making it look and feel sensational. 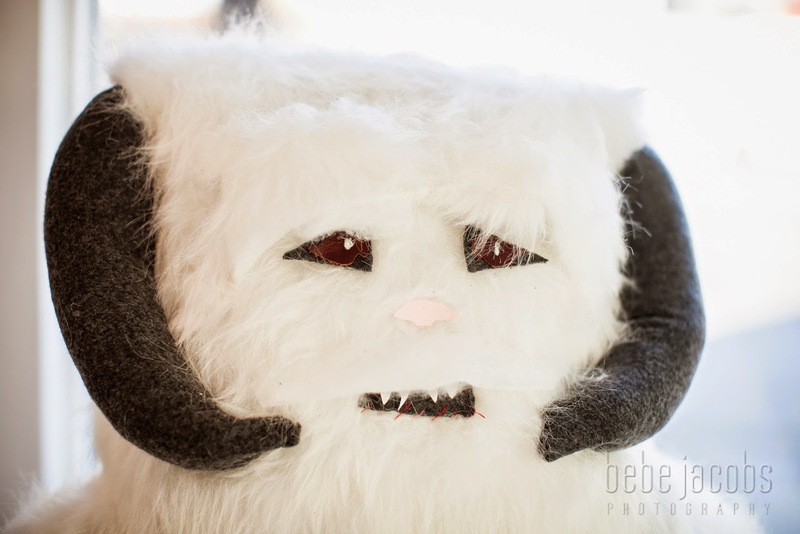 Jennifer created the crazy wonderful Hoth puppets as well as the gorgeous hats. 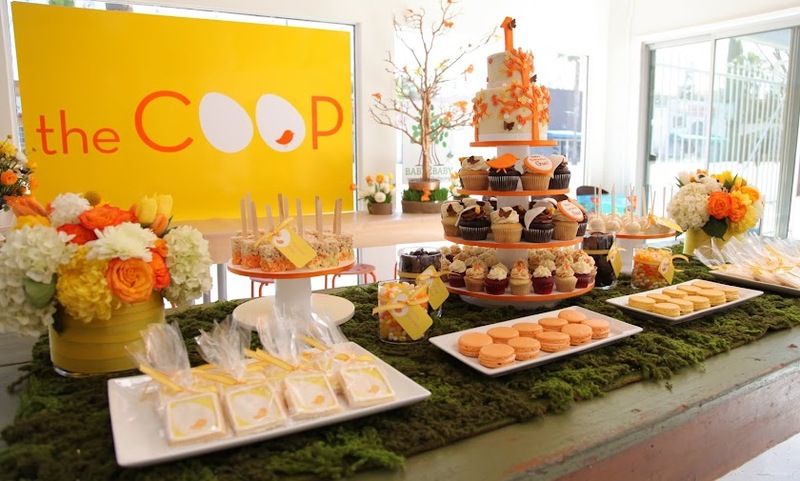 Julie from Blue Cupcake created the incredible cake and cupcakes and the COOP took care of the decorative elements. 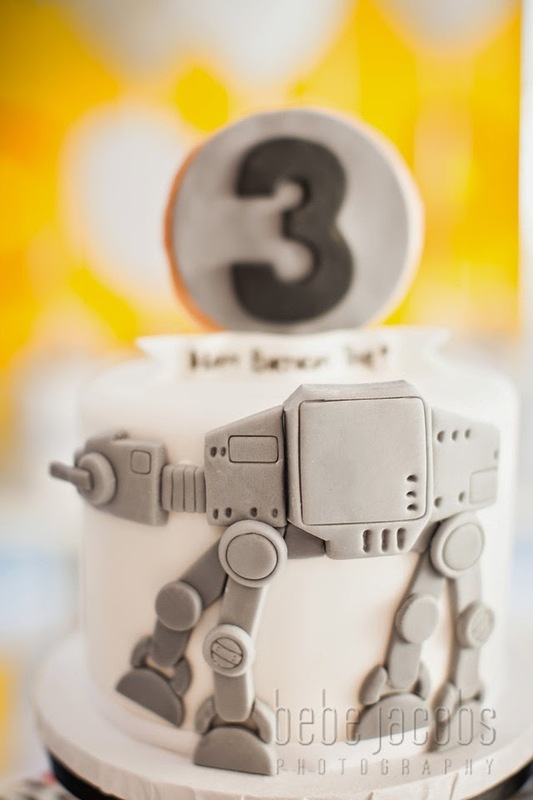 Bebe Jacobs took all the FAB photos and the family (who are picture perfect) had a special birthday that would make George Lucas proud! 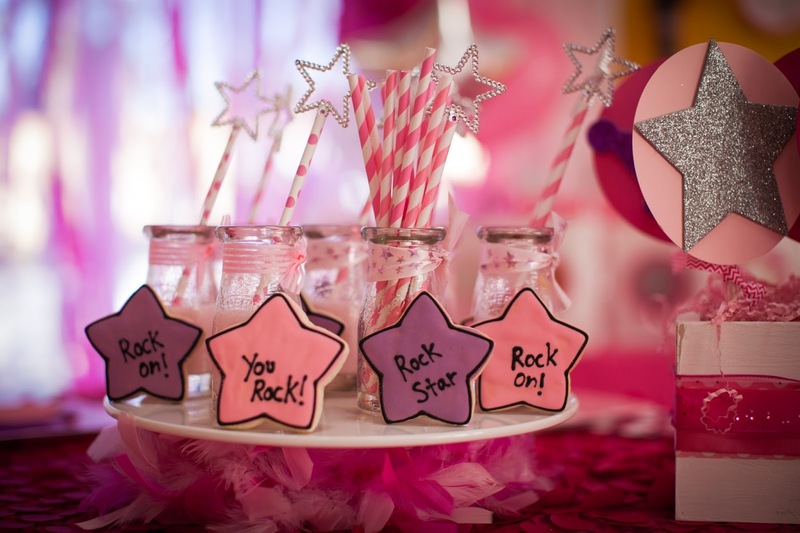 SUPER FAB - SUPER PINK - ROCKSTAR! 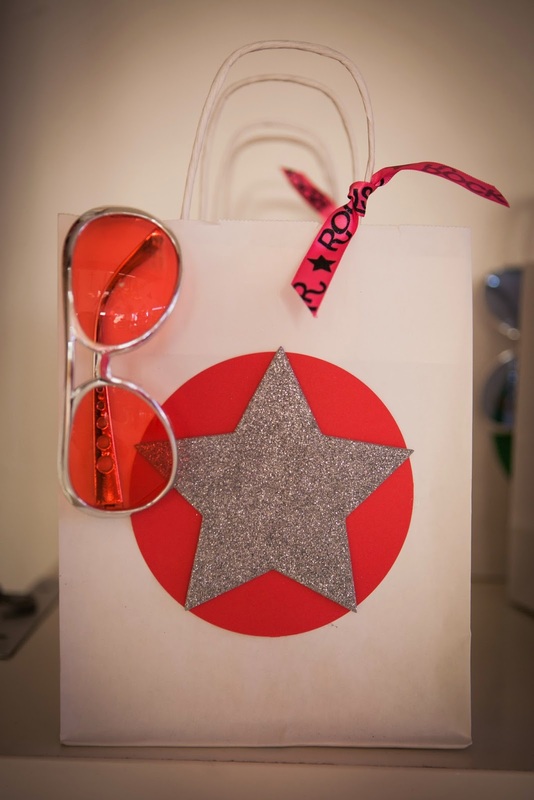 How gorgeous is all this PINK for ROCKSTAR! 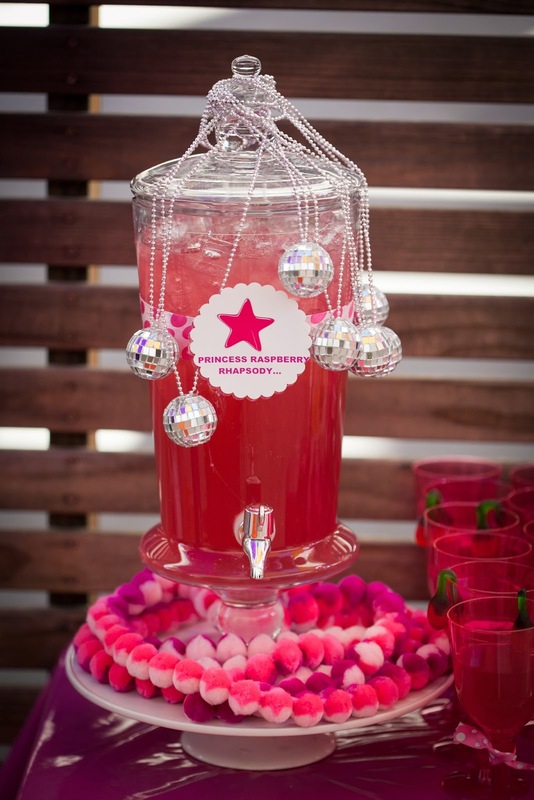 I was so happy with the way that this little Pink Rockstar turned out that I contemplated painting my kids room PINK! 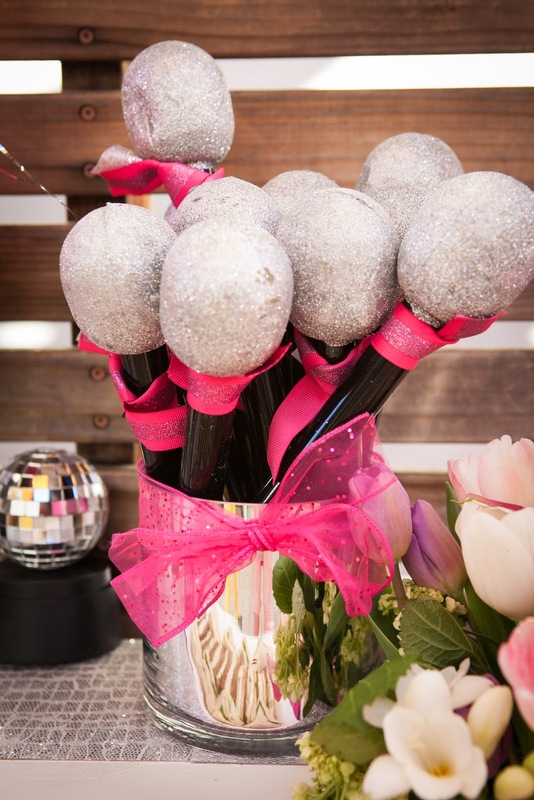 He didn't go for it - but he did allow a metallic vase with glitter microphones as decor on his desk! I really went a bit nuts with the details for this one. 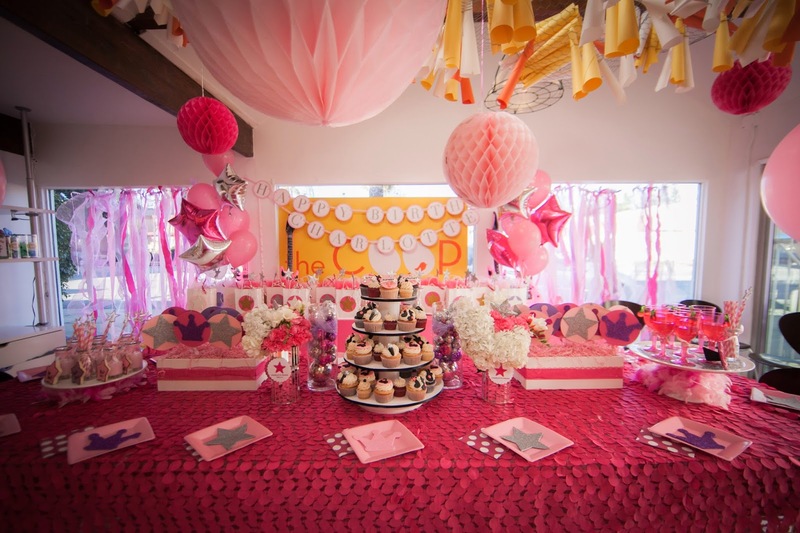 I found a super fabulous hot pink petal material down town that I used as the main tablecloth and went from there. 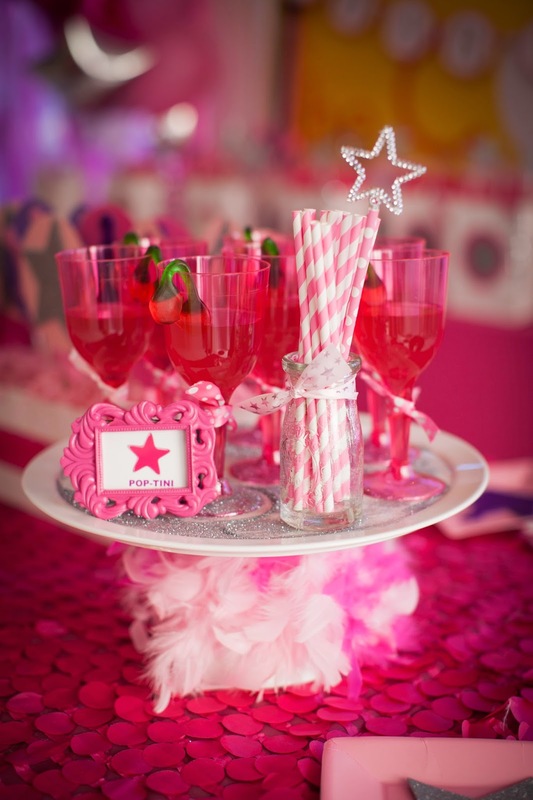 I created little poptini's with the signature COOP gummi cherry as garnish as well as Rockstar cookies leaning against little bottles of PINK milk to put on the main table along with the regular COOP lollipop display boxes. The amazing Julie of Blue Cupcakes took care of the cupcakes with the most adorable glitter microphones and guitars on top. 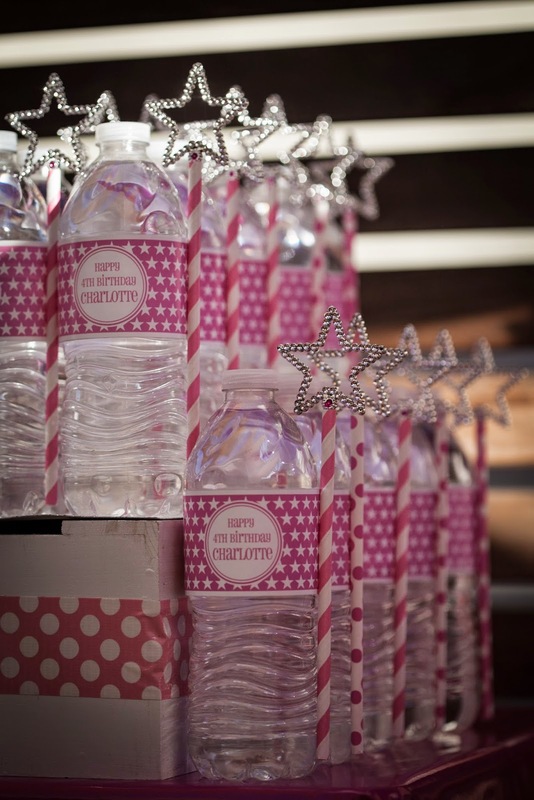 Outside the pink fest continued with stars and glitter and microphones being used to tie it all together. 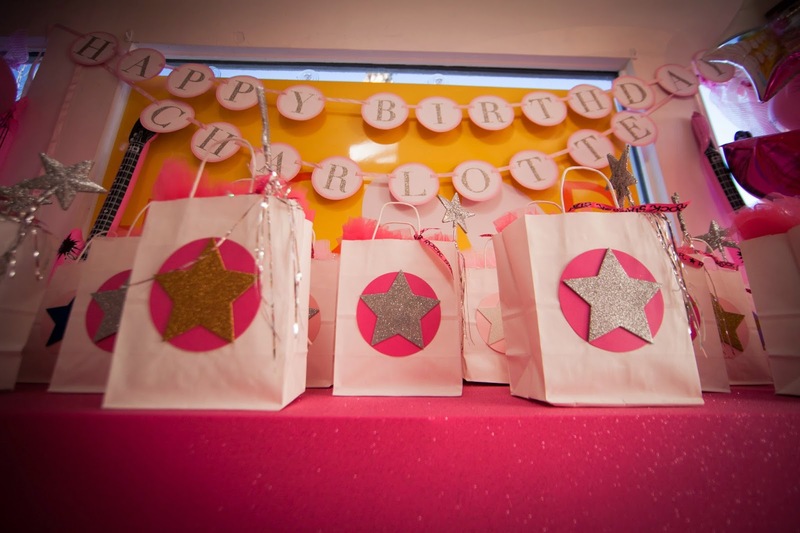 It really did ROCK the world of our little birthday girl Charlotte as well as all the party guests who danced along to the COOL COOP rock soundtrack! 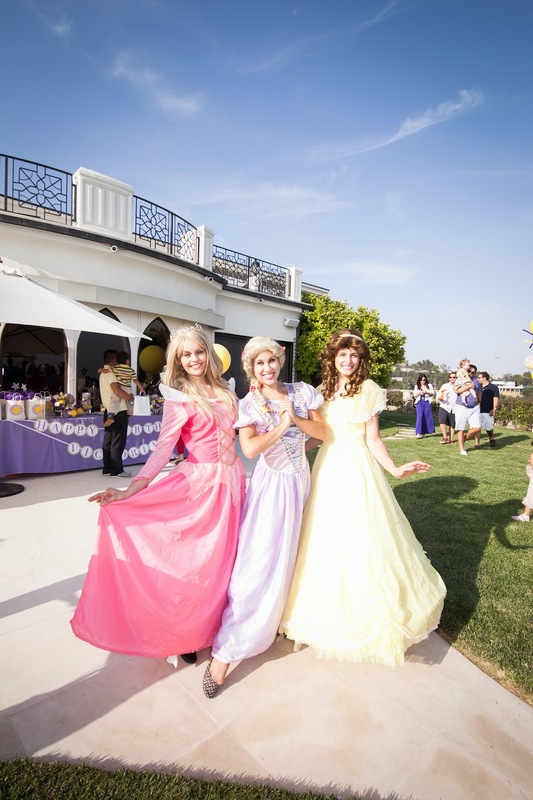 I loved it when one of my favorite COOP party at home mommies asked for a Rapunzel party as Rapunzel was my favorite princess when I was little. 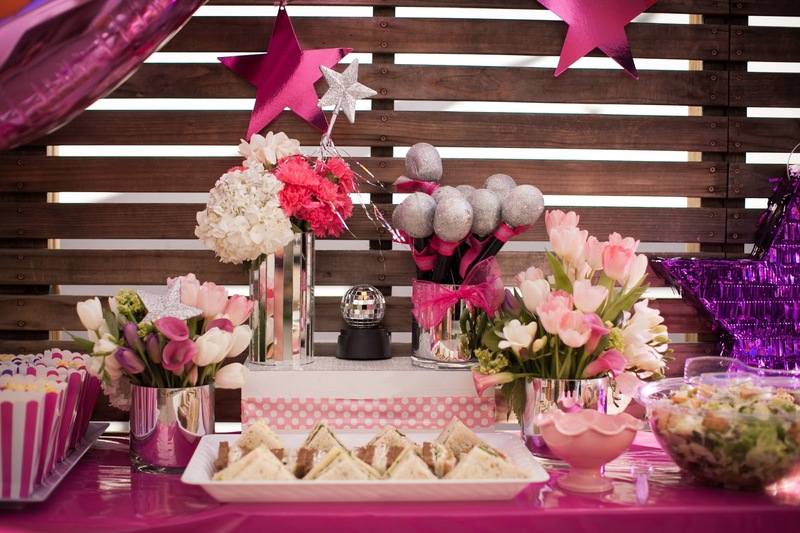 Also as I only have two (amazing sons) it is always with glee that I decorate and put together a girlie party! 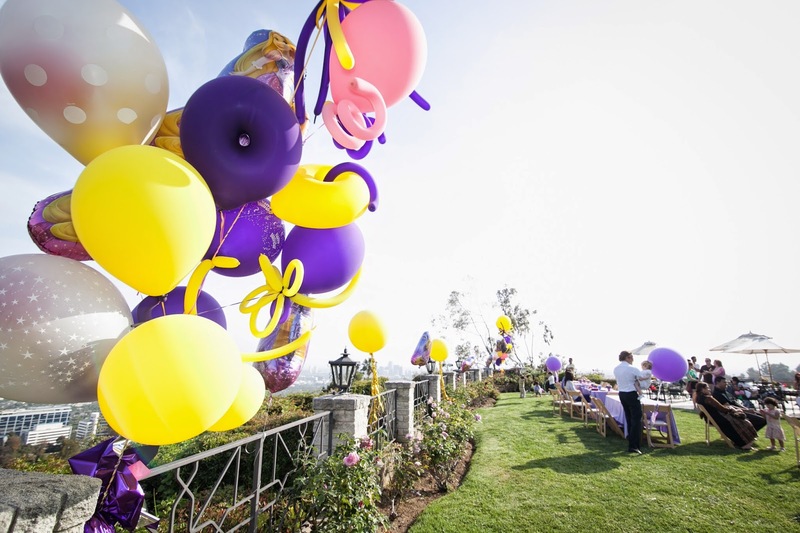 Juliet & I really wanted to make sure that the colors were vibrant and bright but not too Lakers (an LA basketball team for all our International bloggers!). 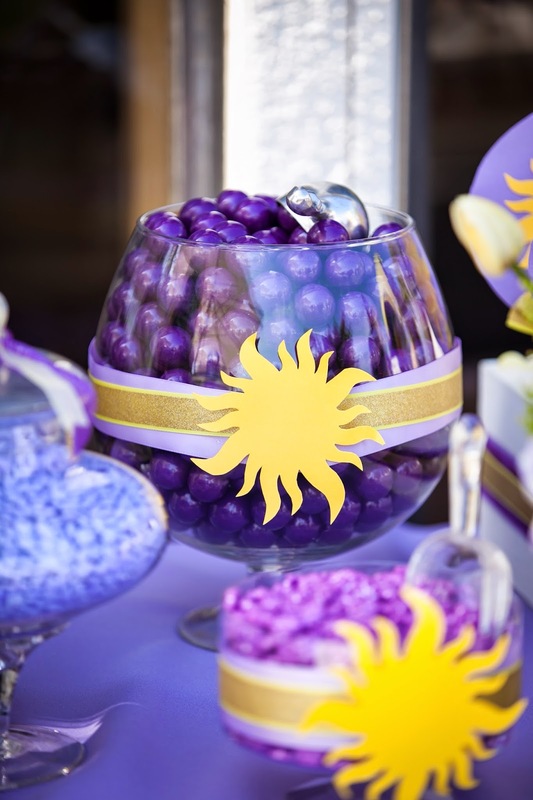 So we used purple and yellow and also incorporated some pretty greens and pinks. 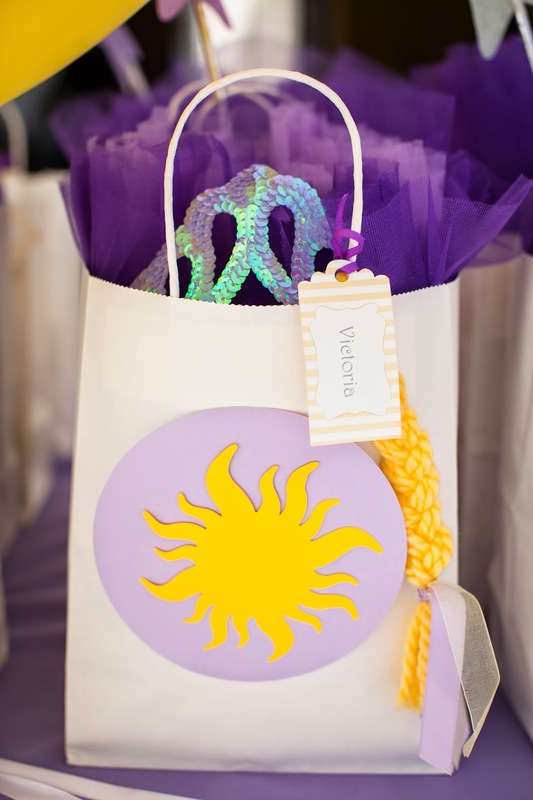 We used Rapunzel's hair as our table runners and tied a small braid to each of the goodie bags. 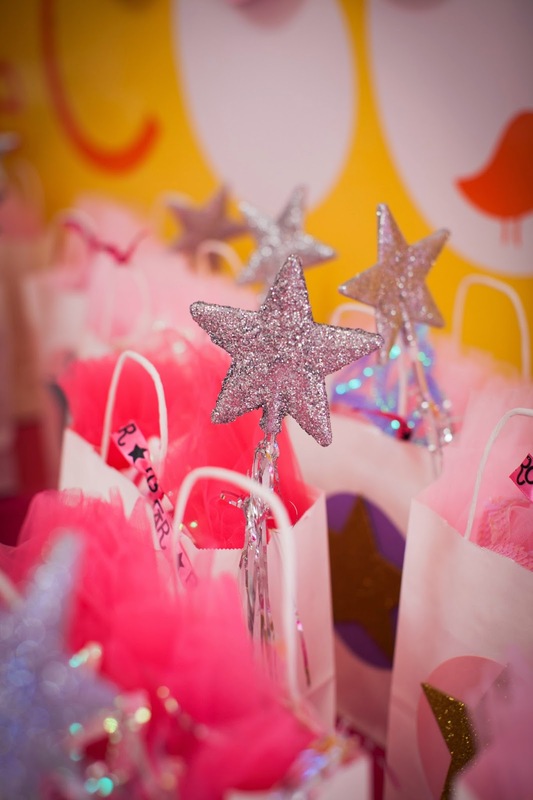 The goodies included tiara's and tutu's and wands for all our little princess's. 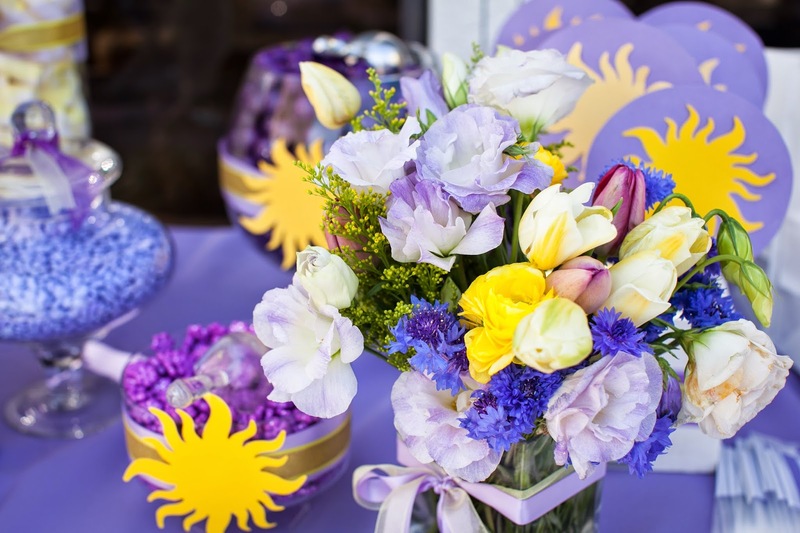 Juliet put together some gorgeous flowers and the whole effect was more RAPUNZEL than LAKERS so we were thrilled. 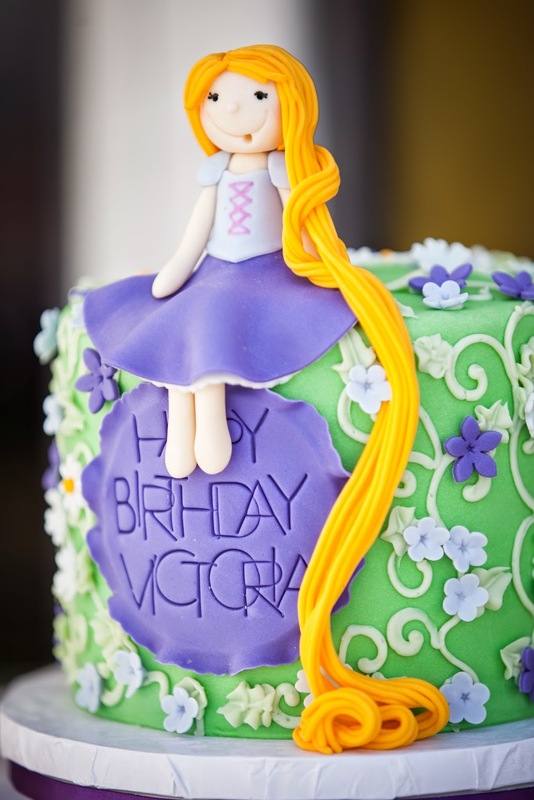 Our beautiful birthday girl was over the moon especially when Rapunzel herself appeared!! 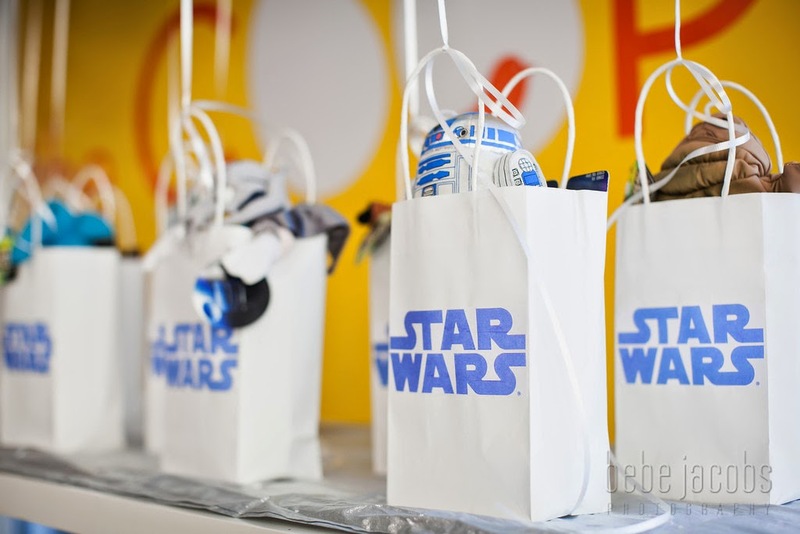 My son Finn usually goes for a small sleepover at home for his birthday party. This is his last year in elementary school though -- so I urged him to have a blow out with the whole class. 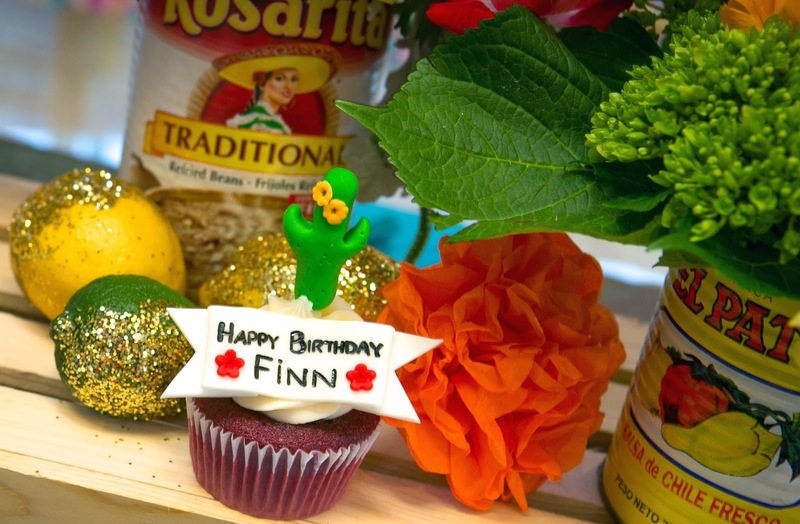 We have a Taco vendor that I love so I said how bout "Finn's Fiesta!" 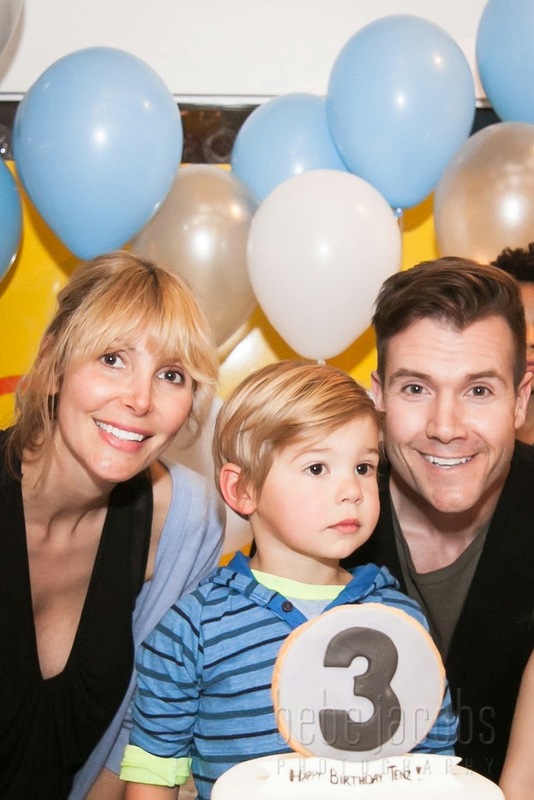 He reluctantly agreed (he's not a showy kid -- as I said he's prefer 2 friends at the house as opposed to shaking his maracas in a sombrero with his whole class... but I digress!!) 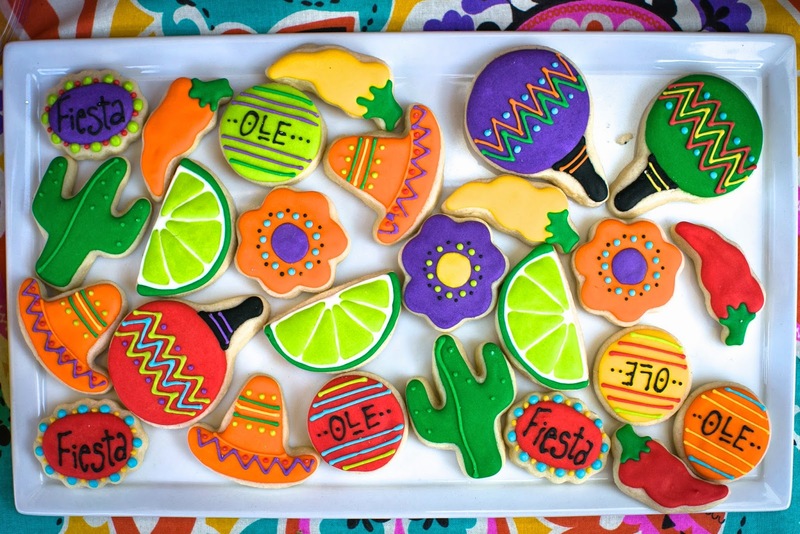 Here's the thing that is so so fiun about a FIESTA party -- the COLOR!! I mean -- honestly -- you can (and I did!) 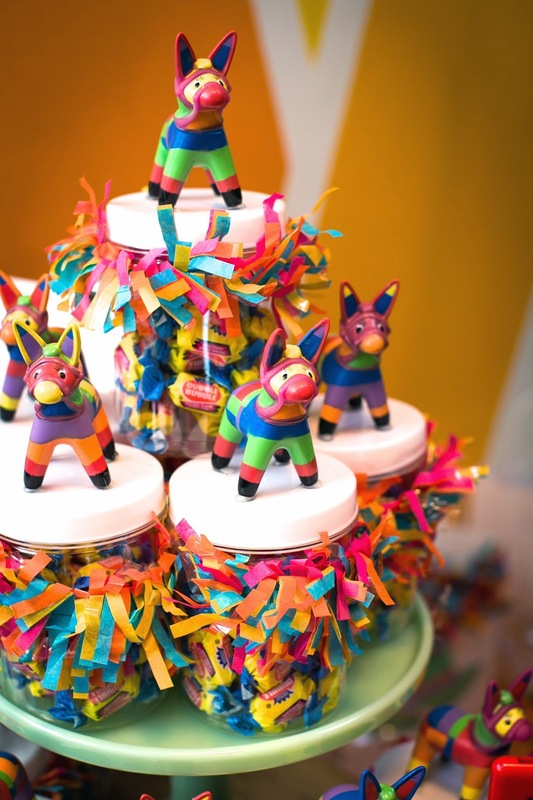 use just about every fabulous fun color you can imagine somewhere in a fiesta themed party! I went for it in the color -- and the GLITTER (naturally and as always !) department! 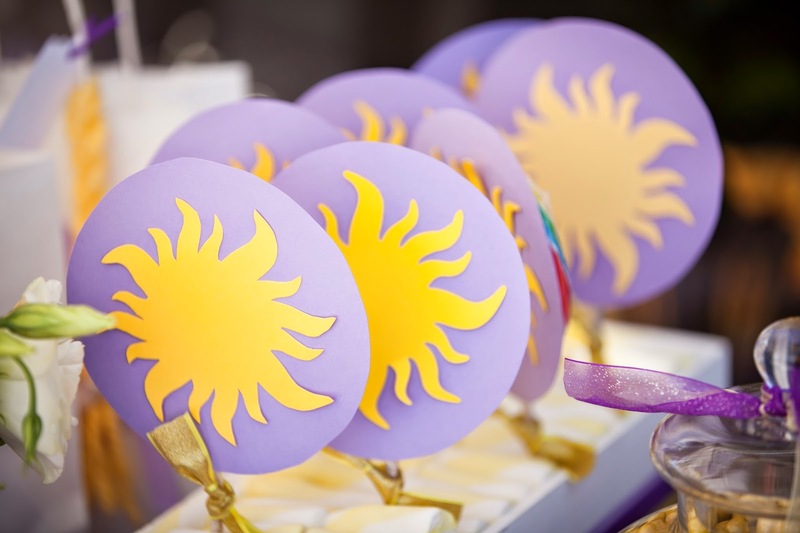 I even Glittered the giant balloons (this was a first for me and I LOVE how the turned out!) 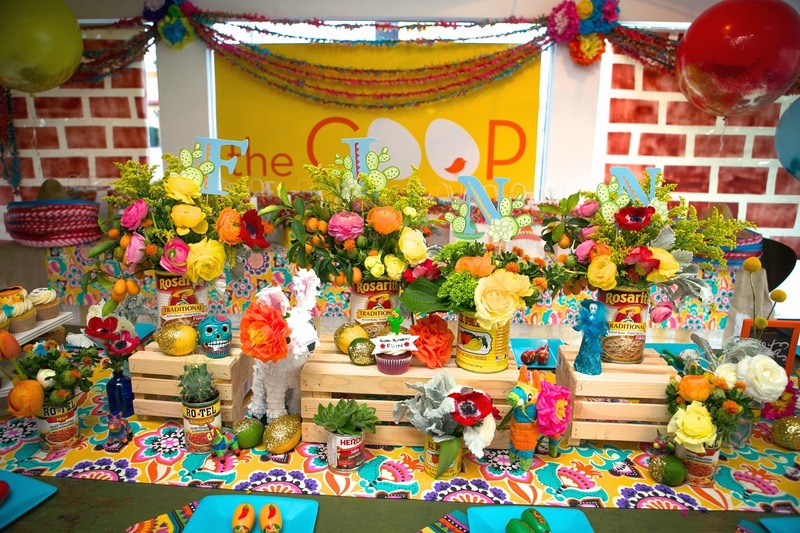 I got the most fun busy colorful material I could find and used it for table runners... and then just went crazy glittering limes and lemons, planting succulents and cactus in salsa tins.... I also used Food containers (beans!) 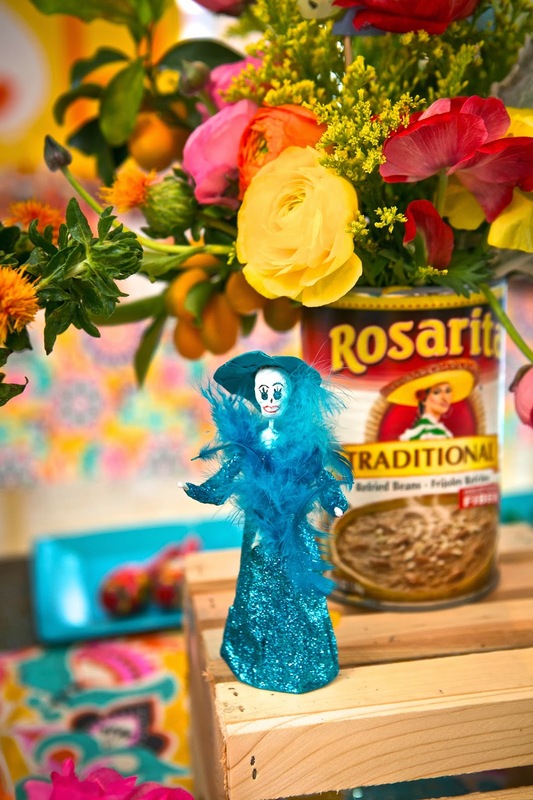 for the flower arrangements. A trip to Olvera street scored me a few little skulls and dia de los Muertos trinkets ... I artfully placed ALL these goodies at varying heights (I love a pine box riser!) fro the main centerpiece of the table. 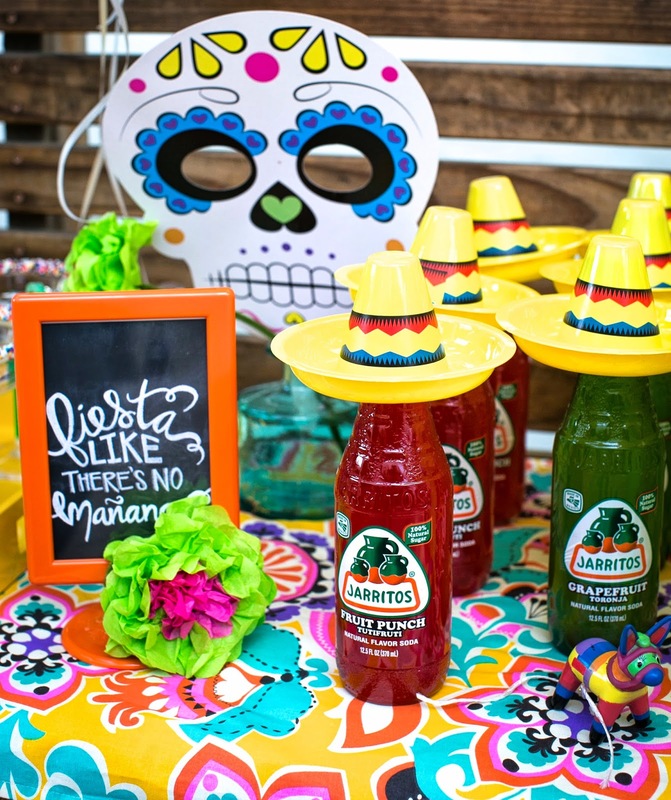 Mini Maracas on each place setting, sombreros on the sodas, paper flowers and garland with the Glittered balloons and my hand painted brick background... 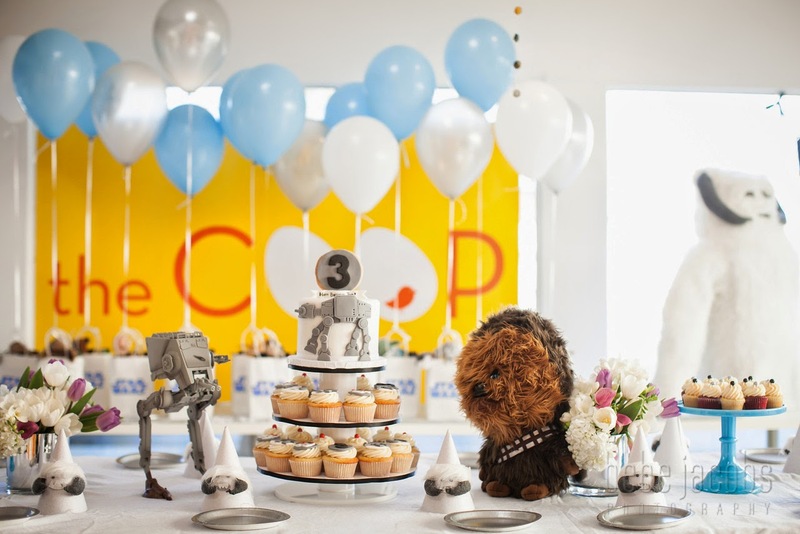 I mean -- this party was OTT! And so fun. 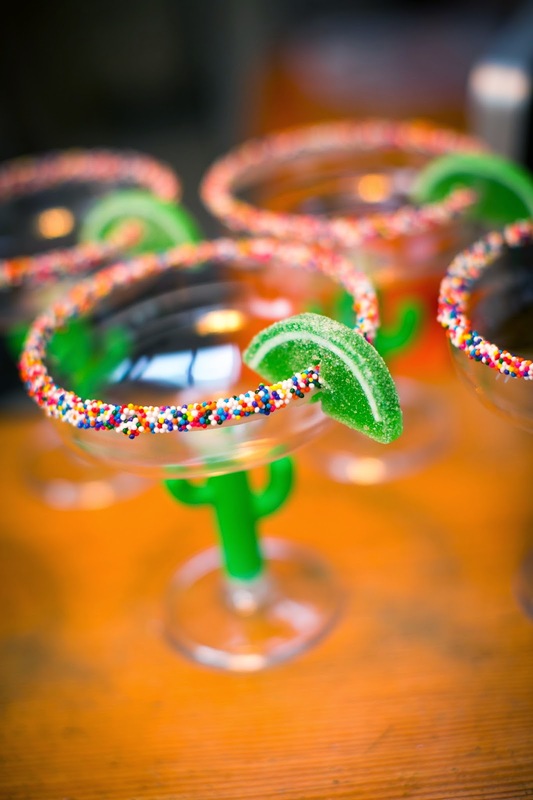 The MOST fun element I thought -- was the Margarita glasses (with cactus stems) with candy sprinkled rims (instead of salt! 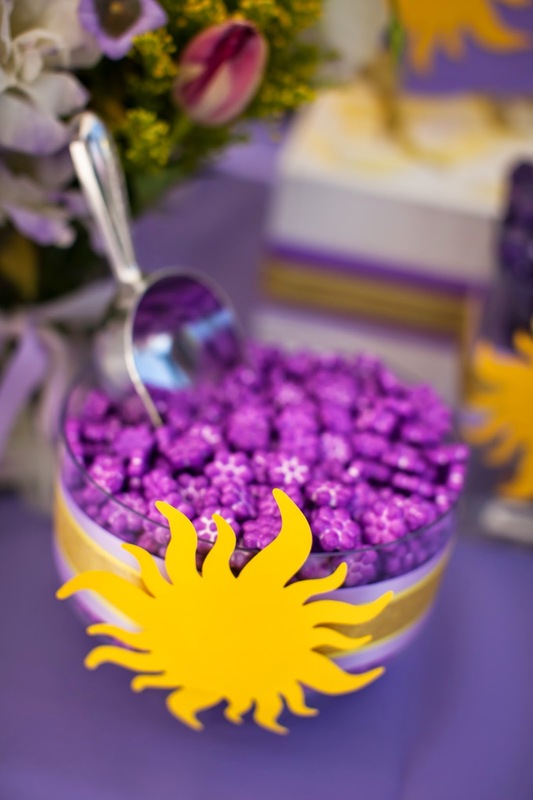 curtesoy of some warm white chocolate and an extra large container of jimmies all over my kitchen the night before the party!) Everyone got sombreros, of course -- the birthday boys momma (moi) and favorite baby sister got extra special hot pink and gold ones... 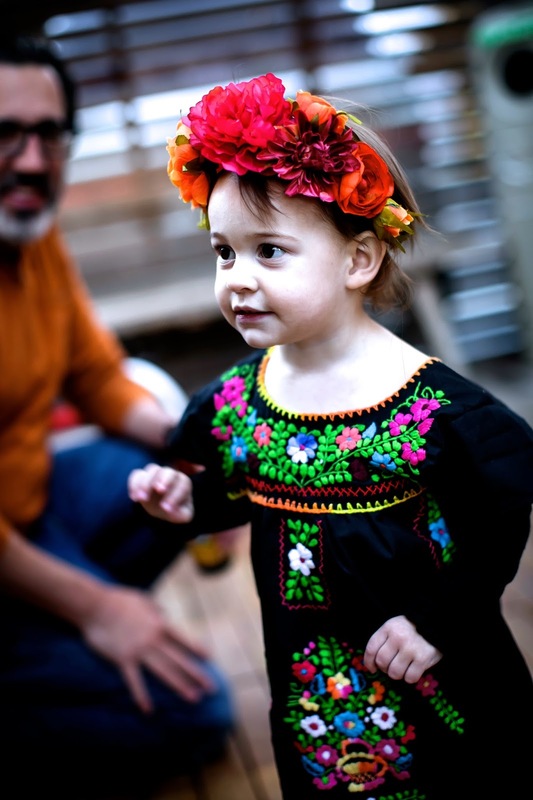 I also hand made her the flower headdress (Frida-esque) with some silk flowers and hot glue on a stretchy headband. 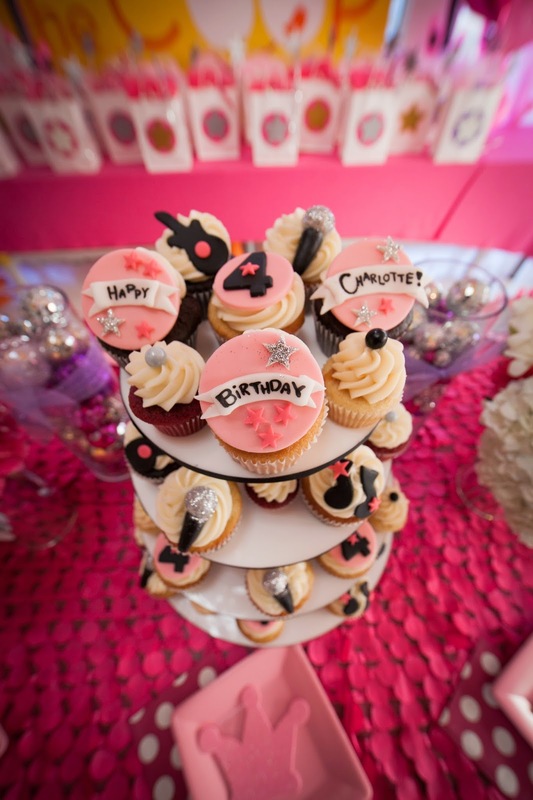 Gorgeous cupcakes by Julie at Blue Cupcake -- again and always steal the show. So gorgeous!!! 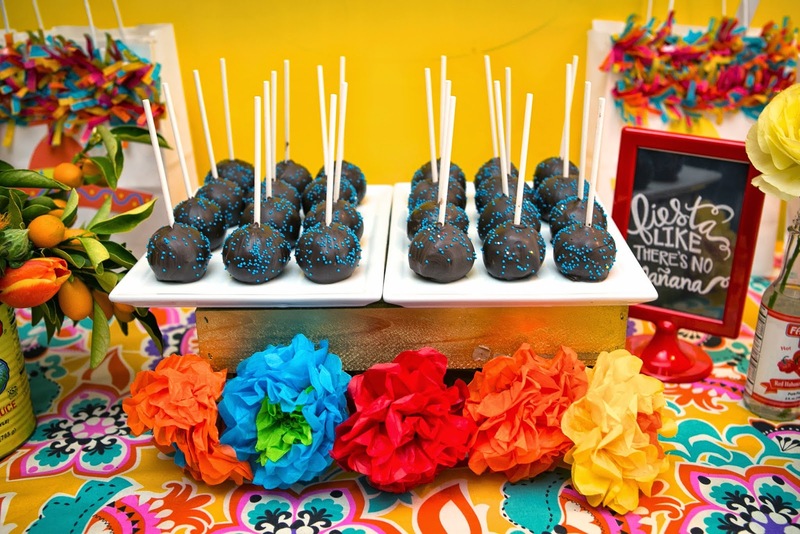 We Fiesta- ed like there was no Mañana... and I am so so happy my little boy got to have one last bash with his sweet elementary school friends!! !